1. The 'KeeneticOS release notes' section of our website lists the main changes concerning official releases (indexed with 'C' letter), beta (index 'B') and debug versions (index 'A') for each release of the KeeneticOS made available publicly. 2. Functional capabilities of your Keenetic router are determined by the set of installed modules (components of the Keenetic Operating System). You can always change this set by selecting the components you need. Important! Changing the component set will update KeeneticOS to the latest version. The ability to install all components, that are available for a particular model, or a particular specific operating system module combinations, at once, is not guaranteed. 3. 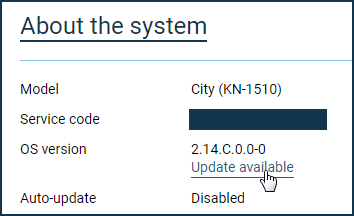 If for some reason update process of the KeeneticOS has failed for your router, please refer to the "Frequently Asked Questions on Component Installation and KeeneticOS upgrades" article. 4. 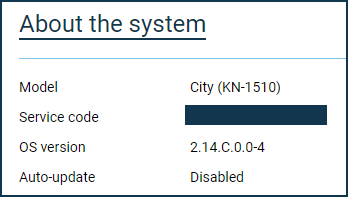 Online system update can also be performed via the Keenetic app, available for Android and iOS-enabled mobiles. 5. The operating system of the Keenetic device can be updated with prepared OS image, thus an offline upgrade is possible. To update offline, please follow the 'Updating the KeeneticOS by replace of the system image file' instructions. 6. 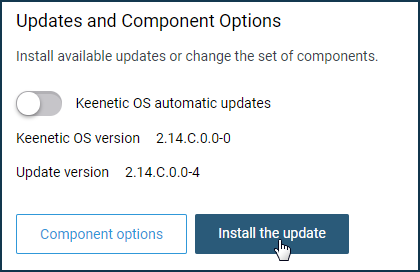 To install a pre-release (beta) version of KeeneticOS, please follow the 'Updating the Keenetic software to a beta version' instructions.